2016 marks the 150th birth anniversary of the French composer Erik Satie (1866–1925). As far as musical ideas go, Satie is best known for his notion of “furniture music” (musique d’ameublement), first introduced nearly 100 years ago in 1917 and later popularized by American composer John Cage. Furniture music aspires to “make a contribution to life in the same way as a private conversation, a painting in a gallery, or the chair in which you may or may not be seated.” The music would “fill up those heavy silences that sometimes fall between friends dining together. It would spare them the trouble of paying attention to their own banal remarks. And at the same time it would neutralize the street noises which so indiscreetly enter into the play of conversation. To make such a noise,” Satie says, “would respond to a need.” (John Cage, Silence (1961)). Nearly a century later, background music to support and augment everyday activities is commonplace. The Muzak tradition of sonic productivity enhancement carries on, though the stimulus progressions are now ever more individually tailored for specific times and tastes. On my phone, Apple Music offers streaming playlists based on time of day, profile data, and past clicks: “Experimental Music for Studying,” for example, or genre-appropriate ways to “Wake Up Gently” in the morning and “Tune Out Your Boss” in the afternoon. To consider background music only as a practical physical support for the isolated individual, however, risks losing the inherently interpersonal aspect of Satie’s musical furnishings. This is music not just to keep the body in tune, but to soften the spaces between individuals, helping to make the awkward pauses that interrupt even friendly conversation a little less awkward. Looking back over what we know of Satie’s life—he was a brilliant but idiosyncratic loner par excellence—it isn’t hard to imagine that the “need” he sought to fill wasn’t for greater productivity and efficiency, but rather a way to use music to feel more at home in what otherwise might have been a world of fraught social relations. Flash forward to 1980. Satie’s gentle piano music is growing popular among a new generation of listeners. The recently released Sony Walkman and Brian Eno’s Ambient 1: Music for Airports are pushing furniture music in more personal and autonomous directions, combining the Taylorist push for utilitarian efficiency with more flexible and open-ended musical formats. Jump again to the present. If we think of background music as just a tool for the privatized individual, we risk missing the central role of musical furnishings in negotiating interpersonal and environmental space. Rather than algorithmic soundtracks ever more finely tuned to a person’s biodata, a more fundamental role of furnishing music in 2016 might be much the same as it was a century before: a tool to fill up those heavier silences, particularly for those who might not otherwise feel at home. Consider the mildly defiant act of boarding public transit with music leaking out of your backpack on small speakers (perhaps from a phone or boombox). Eschewing the privacy of headphones, the music immediately establishes a relational space, defining the vehicle not just for the would-be DJ but for everyone else, too. Image: San Francisco's F Line. Photographer: Momoko Shimizu. A few months ago I was riding the F Line down Market Street in San Francisco when a woman boarded, sat in the middle of the back seat of the crowded train, and after about five minutes switched on M.I.A.’s “Paper Planes” at a volume just loud enough for everyone to hear. Suddenly we were in it together, with the lyrics about “sitting on trains” and the lolling rhythm of the beat perfectly matched to the rocking of the light rail. This cozy atmosphere suddenly turned confrontational during each chorus, however, when three gunshot sound effects ring out and M.I.A. tells us all she wants to do is “take your money.” After a few minutes the song ended and we went back to our private thoughts. The woman alighted at the next stop, having spoken to no one but having marked out a territory all her own. Other silences: an Uber ride late one recent weekday night. The driver, after talking with me about his recent experience immigrating from Eastern Europe to the US, suddenly shifted to proclaim his love for the free Pandora music streaming service—how essential it was for him to get through his long hours at the wheel. Driving all night and with plenty of time to think, he had refined it down to a simple equation: “gasoline is what fuels the car, Pandora is what fuels me.” It would be fair to call this stimulus progression, perhaps, but this doesn’t capture the whole situation. Well aware of his vulnerability as an independent contractor at the mercy of Uber’s latest app update, the low-volume electronic music streaming endlessly from the dash provided some solace and some energy, a way to be at home while driving forward. Rather than think of background music as merely a matter of consumer choice or utilitarian design, Satie’s legacy pushes us to understand and recognize music as a way of negotiating shared space. Musical furnishings can powerfully realign the social division of comfort and discomfort, the emotional economies of awkwardness and groove. Sometimes background music becomes a way for individuals who might not otherwise have a way to fit—for any multitude of reasons—to push back and carve out a little territory of their own. To make such a noise would respond to a need. 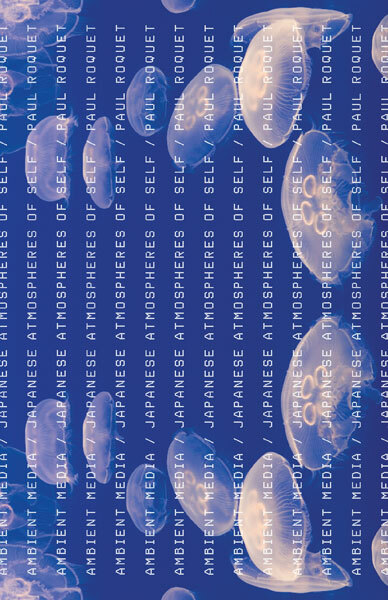 Paul Roquet is author of Ambient Media: Japanese Atmospheres of Self. He is a postdoctoral fellow in global media and film studies at Brown University.